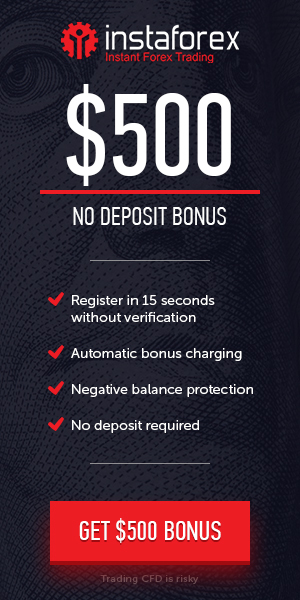 Welcome to RoboForex $30 Exclusive Welcome (No Deposit) Bonus Promotion offer. RoboForex is delighted to reward new clients by offering the opportunity to start trading with $30 bonus. Start your trading journey now. Boost your trading potential in the world’s best trading environment provided by RoboForex. To get the $30 Free Welcome (No Deposit) Bonus you need to follow a few simple steps: All New clients have the opportunity to trade with free trading funds, without having to make a deposit. Jump-start an exciting trading journey with RoboForex and explore our world-class services with the $30 Welcome Account. Withdrawal : Yes. After Complete Terms and Conditions. Initial funds : for new clients of the Company, who verified their personal information. Withdraw the profit : from trading using both your own and extra funds. No restrictions : Welcome Bonus funds aren’t written off from your account even during "drawdown". Open an account: Bonus funds are available for cent and standard MT4/MT5-based accounts with USD or EUR as a base currency. Verify your account : Pass the simple verification procedure of your identity, address, and phone number in your Members Area. Deposit funds to your account : Deposit at least 10 USD to your account via a bank card*. 1. Verify your personal information. 2. Verify your phone number. 3. Deposit at least 10 USD to the account using the bank card*.